If a stranger followed you around for a few days, how long would it take for him to figure out that you are Jewish? This question was posed to me in a parenting discussion group many years ago and has intrigued me ever since. If a stranger spent a few days at your home, how would he know that a Jewish family lives there? READ: Mommy, What’s Being Jewish? Perhaps the answer can be found in this sweet story. For 15 years I taught Hebrew at Jewish day schools and for college credit in supplementary schools. A dozen years ago I planned a special, end of the year activity for my eighth grade Hebrew class: We would learn how to prepare falafel and Israeli salad using Hebrew recipes and then use them to make lunch at my house. The students eagerly learned the recipes, and when the day came, set about cooking together, speaking only in Hebrew. We devoured the delicious food they prepared and continued chatting through lunch in Hebrew. After lunch came a surprise activity—a scavenger hunt! I paired the students off and gave each pair a list of items to find, items that I had strategically placed all over the house. Tallitot (prayer shawls) and kippot (head coverings) on the coffee table; a yad next to the spice rack; the seder plate on the pool table; a humash (torah) rested on the piano. The hunt included more than just ritual objects. The list also included items that emphasized Israel, Zionism, kashrut (kosher), Jewish culture, and peoplehood. Would the kids spot the family photos from trips to Israel? Israeli music CDs? Israeli films on DVD? The Hebrew/English keyboard? The kosher cookbooks? Biographies of Jewish heroes? The Jewish calendar? How many mezuzot would they count on doorposts throughout the house? Most of all, I wondered if the kids would notice the tzedakah box sitting on the clothes dryer, and if they would realize why it was in the laundry room, of all places. The students raced through the house, checking off each item and where they found it. How fun it was to hear them exclaim over each find! At last they finished and I gathered them all on the porch to talk. “Why do you think we did this activity?” I asked. “Because it was fun!” one student replied immediately. “Because you wanted us to see that you have really nice things,” said another. Little by little the discussion led them to the lesson I wanted to teach: that if you are serious about being Jewish, you will find signs of it everywhere in your home. Because Judaism is, most of all, about doing—the rituals and behaviors that elevate, that enable us to bring a spark of holiness to even the most mundane activities. Which led me to ask them one final question: Why was there a tzedakah box in the laundry room? “Because lots of change falls out of pockets in the dryer,” said one girl. I waited to see what might come next. It got the kids thinking. As eighth graders they were one year post-bar/bat mitzvah, the high water mark of their Jewish experience. My goal was that our simple activity would remind them that between the momentous occasions of the bris, bar/bat Mitzvah, and the chuppah lie countless opportunities to enrich and elevate their Jewish lives. 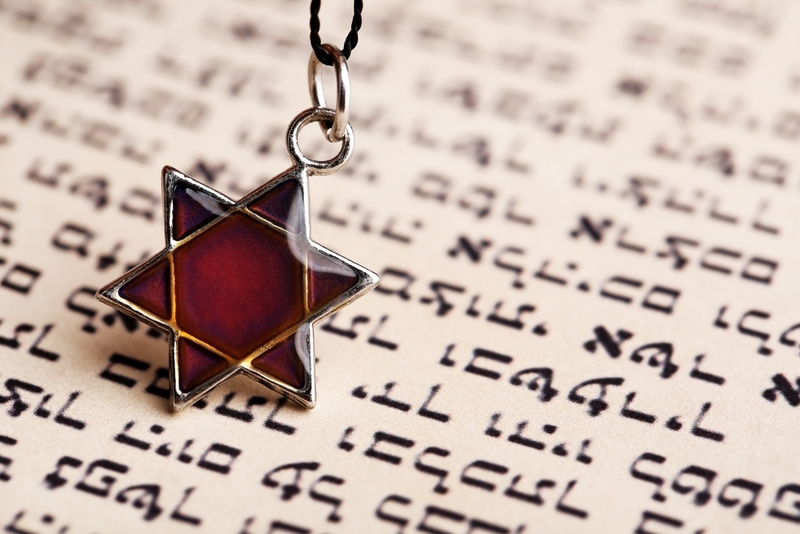 So, how would a stranger know that a Jewish family lives at your house? Like everything Jewish, it all begins with asking a question.